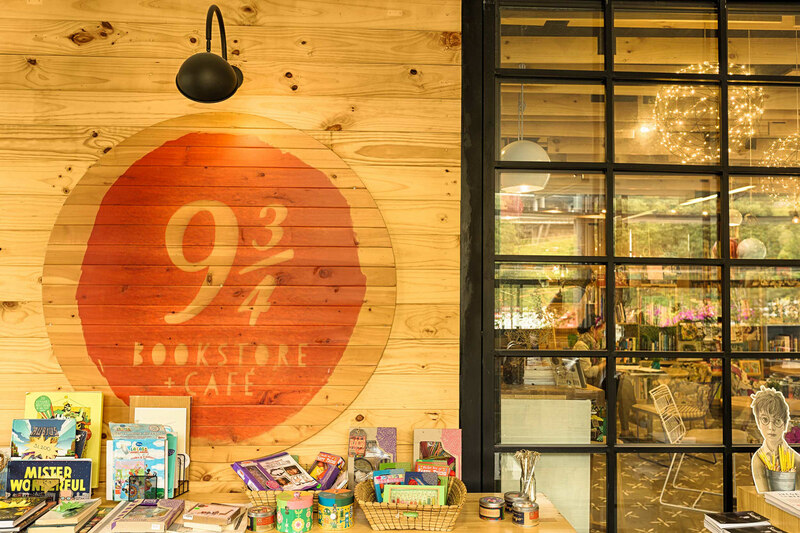 9 ¾ is a bookstore cafe specialized in children, but where adults can also have some fun. We believe that cities need warm and nice meeting places that welcome us and invite us to learn having fun with our families and friends, sites where people not only buy but go and have a good time. The areas for children in 9 3/4 are small hiding spots or places where they can draw, rest and play while learning and enjoying a good book. For grown-ups there are private reading rooms and also tables for sharing, all surrounded by warm materials, furniture and decoration objects that speak of the joy that gives us a good story, a good book. Our coffee is one of the best in town, prepared by experts and broght from the best Colombian origins. We believe in imagination, in magic, in dreams, in memories. We believe that the best ideas and conversations come easily with a good cup of coffee. We know that technology can be the magic wand to enter unimaginable worlds but it will never dethrone the King: the book.